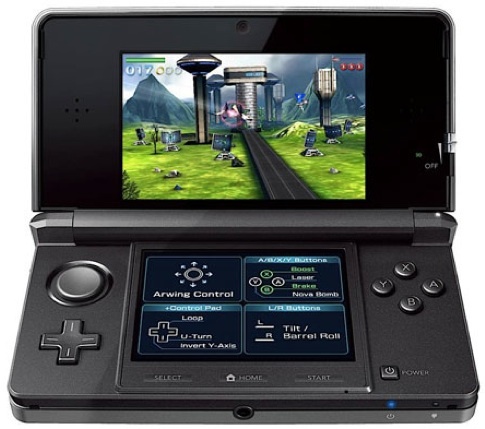 Nintendo has announced Star Fox 64 3D for the Nintendo 3DS portable. The game will support both analog movement, as well as supporting the Nintendo 3DS accelerometer, allowing you to simply tilt the console to fly throughout the vast levels. The other big feature touted is that you'll be able to see the faces of up to three other friends who you are playing multiplayer with, thanks to the Nintendo 3DS front camera. Each player will have a small box over their vehicle, where you can see exactly who is in control. Star Fox 64 3D will be available in September 2011 in the US.